People have a problem with rain, sun, or aesthetics of their place. They call us to give them an idea. 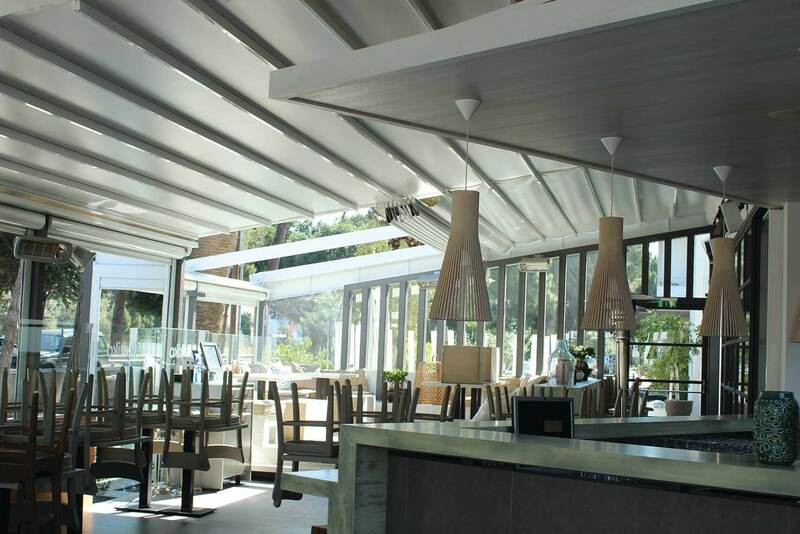 We help the customers through our experience and knowledge to choose the best type of awning in relationship with their building, to be the most effective and the most comfortable for their needs. The design is an important parameter in case people want the awning for protection for rain or sun or advertising reasons. We can help you with the large quantity of samples and photos. A plus in our company is that serve all customers the same independently small or large work. Also, we can offer technical support for any problem in relation with our work. Our company, Tentotap Ltd deals with the placing of structures and appliances for shadowing since 1978. The instigator and founder of the company is Mr Christakis Andreou who formed the company in order to establish the best brand in the market and continue in the next generations. Our long-established experience in shadowing systems and structures, combined with the advanced technology we use, guarantee excellent results in our work. We have the facilities with all the contemporary machinery and equipment as well as a full collection of cloths, fabrics, machines and automatic appliances which will satisfy even the most demanding client. All of our materials come from European countries that are the best in the industry. Our company can afford to offer extended guarantees and our workshops offer fast, high quality and effective service.